Claudia Rocio-Gomez is Sustainable Harvest’s Quality Control Manager based in Bogotá, Colombia. 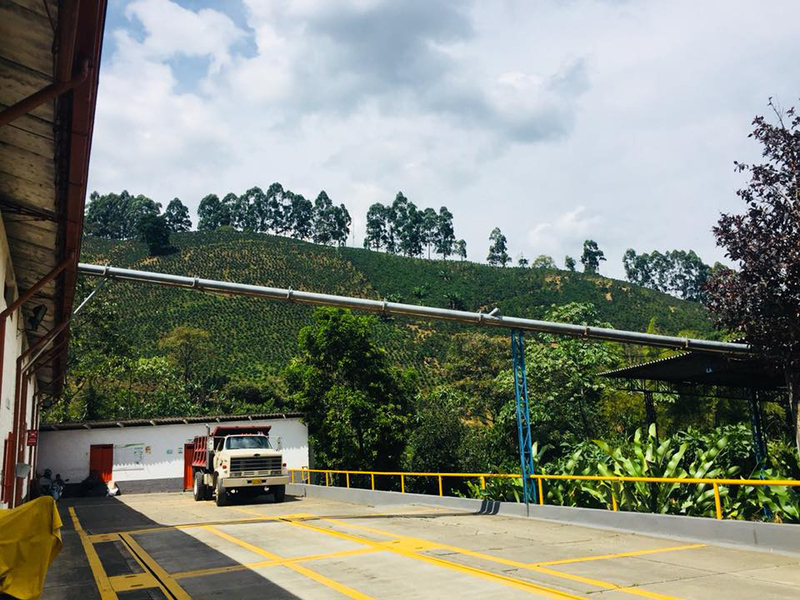 In this blog, she shares insights from a recent sourcing trip to the state of Antioquia. I recently traveled to the region of Southwest Antioquia with my colleague Leonardo Acosta to visit coffee farms in the municipalities of Jardín, Andes, and Bolivar that are members of the DeLos Andes cooperative. The goal of the trip was to check on the health of the region’s crop, which is currently in the flowering phase, in order to determine the volume and quality outlook for the 2019-2020 harvest season. To get a sense of where we’re headed with the upcoming crop in Colombia, it’s important to first look at where the last harvest left off. The 2017-2018 harvest year in Antioquia and much of Colombia was marked by heavy rains, which caused an early maturation of cherries that subsequently impacted cup profiles. A rapid maturation process reduces the quality of coffee, as the cherry doesn’t have sufficient time to develop sugars and other flavor attributes that contribute to a great cup profile. 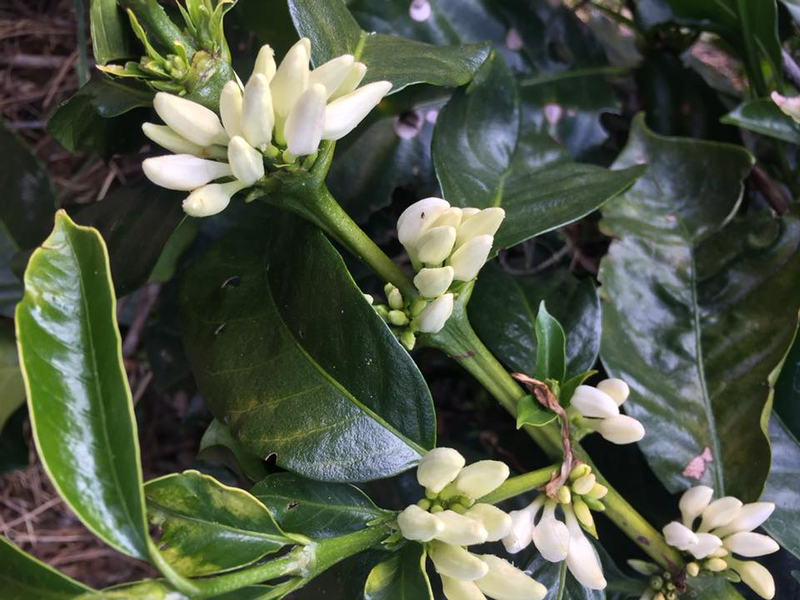 The heavy rain also induces stress on the coffee plant, causing a hormonal disequilibrium that typically manifests itself in the cup through strong herbal and vegetable notes. Climate change is certainly coming into play here—this erratic weather is something we need to come to expect in the future. How we can tackle it and keep supplying our customers with stable, consistent supplies of Relationship Coffee is something we’re thinking about every day throughout our origin operations here at Sustainable Harvest. La Cascada's mill is surrounded by lush hills filled with thriving coffee trees. 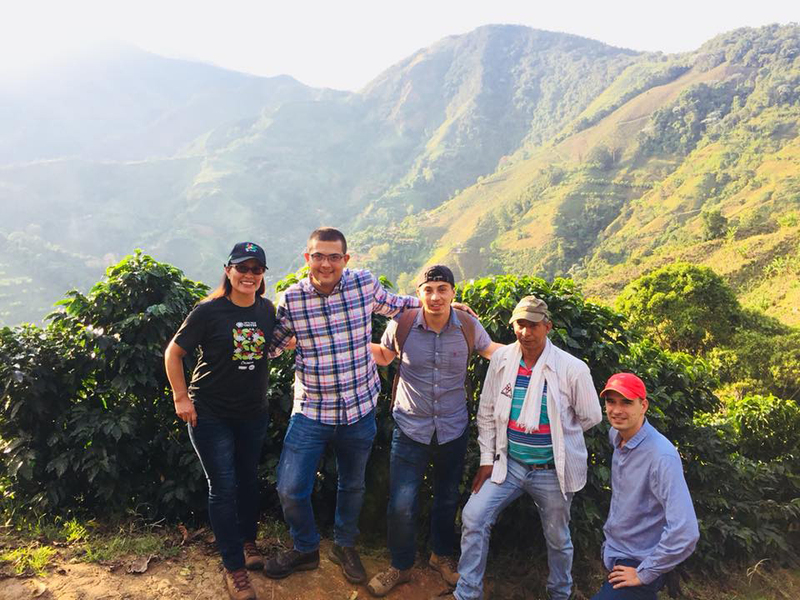 Looking ahead, I’m happy to share that the outlook for the 2019-2020 harvest looks very strong in Antioquia. We expect the harvest to resemble a more typical year, where volume is high and the beautiful differentiated cup profiles we are accustomed to in Colombia shine through. In the Ciudad Bolívar area, we visited San Fernando and La Cascada, two well-well-managed estate farms that primarily produce high-quality Caturra. Thanks to their exceptional infrastructure and production systems, they can supply containers of 84+ point coffees with relative ease. We look forward to sharing these lots with our customers later in the year! Some other Antioquia coffees coming up this harvest that I'm excited about are from the areas of Santa Ines and Santa Rita, located in the south of the Andes municipality, and the Betania municipality. Coffees from these areas are both showing great potential with their cup profiles. Beautiful flowering at San Fernando. A great sign of a bountiful harvest ahead. We’ll be working closely with both our producer partners and our sales team during the upcoming months to keep you updated on this promising harvest year ahead. Don’t hesitate to reach out to us at trade@sustainableharvest.com or fill out the form below if you have any questions about our Colombia coffee program and the offers we’ll have available. We’d love to find the right Relationship Coffee for you. If you're in search of Colombian coffee for your immediate roasting needs, be sure to also check out our current spot offerings. Interested in sourcing Colombian Relationship Coffee? Get in touch!